You can add notes to a booking in cases of special requests or reminders. Open the booking and click on "Add a note". 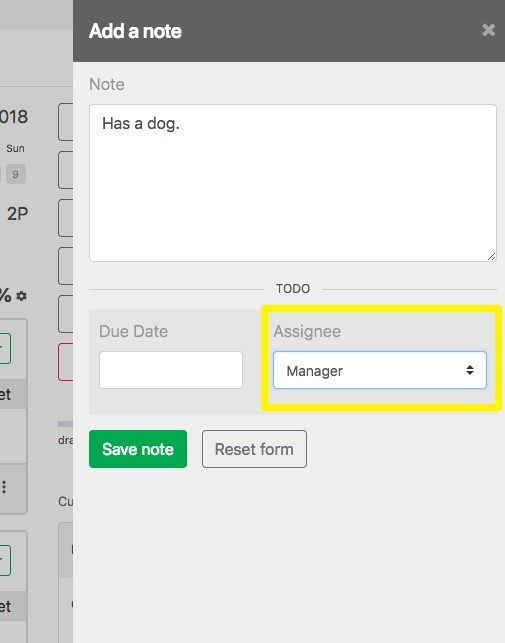 If a note is assigned to a staff member, they will be able to see it when logging in to the backoffice, in the notes tab.